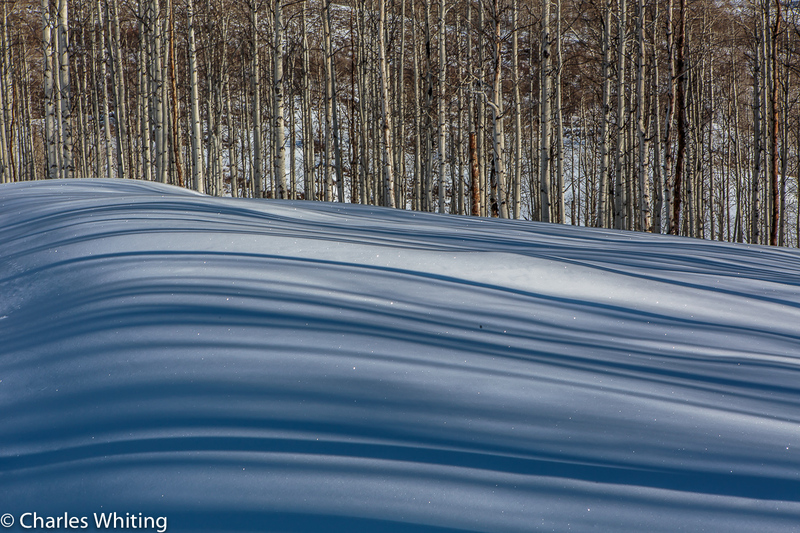 The sun shining through an Aspen grove creates horizontal shadows on the snow. Steamboat Springs, Colorado. Photo © copyright by Charles Whiting.